Hello readers, I have found an intresting Bug... just try it. 1> copy any URL say " http://www.microsoft.com/ "
Your filename becomes " httpwww.microsoft.com.txt "
" httpwww.microsoft.com " . you will find " :\\ " missing. Havent undertsood this part exactly ... what do you mean ? After naming the file, open the notepad file and again paste. 1. Paste hyperlink in file name field. 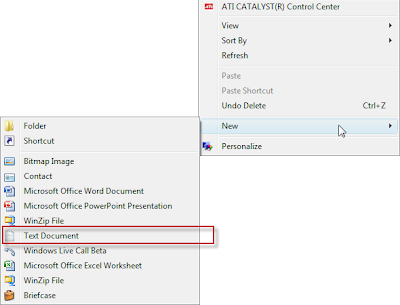 2. paste content in the newly created file. Oh OK, now thats interesting ! Shouldn't step 4 read right click and paste?